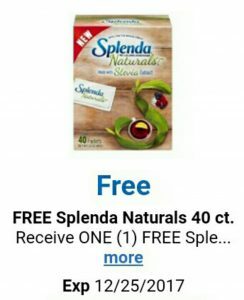 Today you can load a coupon for a Free 40CT Splenda Naturals sweetener as part of Kroger’s 25 Merry Days promotion. You must download your coupon today but you’ll have until 12/25 to use it. Click here to load to your Kroger card.